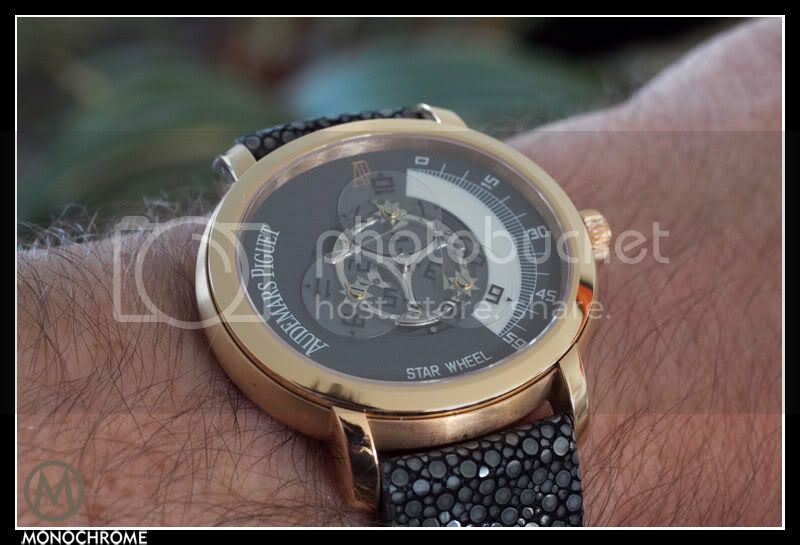 Frank Geelen of Monochrome published a wonderful review of the Audemars Piguet Millenary Star Wheel which I have currently for sale in my shop. From this highly exclusive rose gold version of the Millenary Star Wheel AP only made 75 pieces to celebrate their 125th anniversary in 2000. A further 50 in yellow gold and 125 in stainless steel were produced at the same time as well. The Star Wheel construction is very interesting in it’s construction, which operating is beautiful visible in this watch. Besides this, it’s a very readable way of indicating the time without using regular hands. 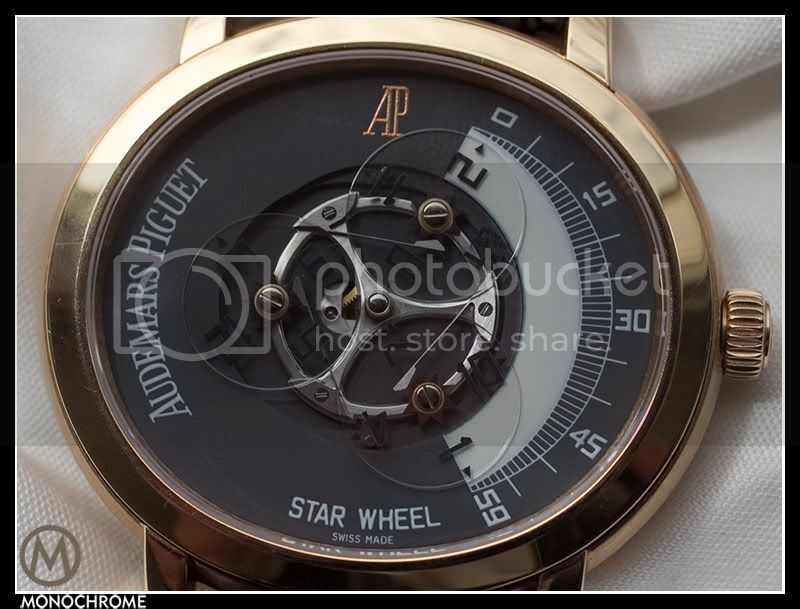 Unfortunately with this Millenary Star Wheel it was the last time Audemars Piguet used this construction in a wrist watch. I have this watch, of course including the original box, booklet, certificate and in an extreme well maintained condition, available for sale @ € 16.900,= (plus S&I if applicable). This entry was posted on May 1, 2012 at 11:31 and is filed under all, sold. You can follow any responses to this entry through the RSS 2.0 feed. This is a lovely watch by AP – thanks for this post! could you let me know which was its catalogue price when issued…? I’m sorry, the watch has been sold Jacques.